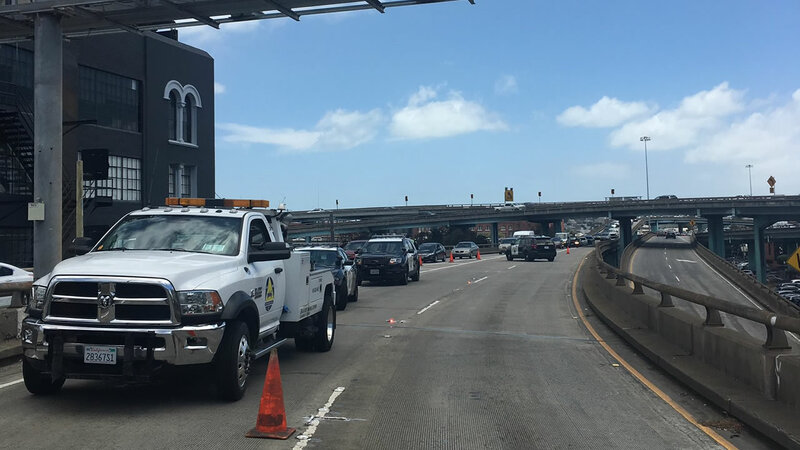 SAN FRANCISCO -- A motorcyclist died in a crash on northbound U.S. Highway 101 in San Francisco Monday afternoon, according to the California Highway Patrol. The crash was reported at 12:06 p.m. on northbound Highway 101 near the Ninth Street off-ramp. A woman driving a Harley-Davidson motorcycle apparently failed to negotiate a curve in the roadway and struck a barrier, CHP Officer Vu Williams said. She was pronounced dead at the scene. Investigators initially thought a second vehicle had been involved in the crash, but they later determined the person merely witnessed the crash and was not involved, Williams said. The crash blocked lanes of the highway for nearly two hours. All lanes reopened as of shortly after 2 p.m., according to the CHP.